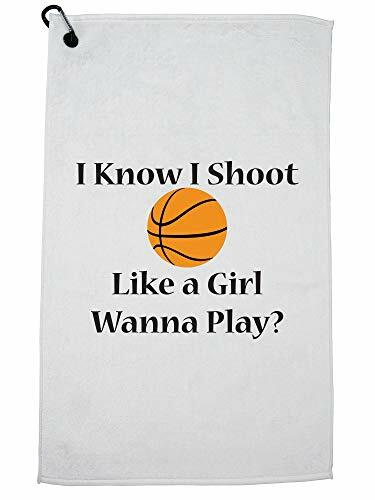 Express the Your Personality: Be the envy of your friends with this new I Know I Shoot Like a Girl Wanna play? Basketball Premium Golf Towel. Great as a gift or to showcase your personality and have fun!